If you are an upcoming DJ, I have a few nuggets that will help you penetrate into this industry with ease. 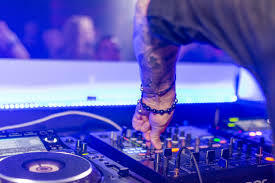 As a professional DJ who has been in this industry for several years now, and I have played everywhere from Ibiza to Japan, I have come up with a few Do’s and Don’ts for aspiring DJs who are looking to make it big. First and foremost, you have to realize that being a DJ is not just about you, but it is about your crowd. Watch how the crowd reacts to the music you play and go on from there. I am not discouraging you from playing new tracks; just figure out what your crowd wants while still breaking the new tracks. Prepare well before going on the deck. Know the INS and out of all your equipment and be able to troubleshoot it. In addition, always stay updated with the current technology. You don’t have to have your own latest gear, but it is good to be aware of the new trends in this industry; most importantly, the music. As DJs, our egos tend to carry us away making us think we are the best in the industry. However, if you want to succeed in this industry, steer clear from the ego. Learn to be part of a DJ team. Sometimes, the club might decide to shake up things by bringing a new DJ, but either way, do not let this get the best of you. You should instead focus your energy to prove why you are the best in the industry. Rock them with everything you got. I also found it very beneficial to support the other local DJs. You will be surprised how far you can go by doing this. You need to build a good reputation and get some promoters to support you. As you might be aware, it takes a lot of time to network and have a huge crowd hear you play. Personally, I played at a local joint for about one year before landing on my first huge gig. Therefore, do not be afraid to start from the bottom. Just play your best music, be cool, apply for more gigs and get promoters. In my career as a DJ, I have seen some upcoming DJs who have only hit for a short- time but are eager to annoy and ditch their promoters. 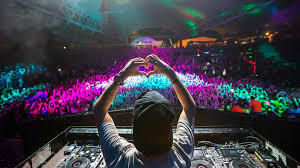 Remember, you cannot become a reputable DJ with just one or two gigs, no matter how cheerful and excited your crowd is. You will always need the promoters to get more gigs. If you get a gig, do not be a drunken idiot. This will only ruin the chances of becoming a big shot in this industry. DON’TS: Don’t leave your deck when playing your tunes. Self explanatory. Well, those are some of the Do’s and Don’ts of being a DJ. Big thanks to our sponsors at the best place to find the answer to “Do I have PTSD?” Deer Hollow Recovery and Wellness! From an early age I wanted to be a DJ. DJ’s really fascinated me. And to me it seemed that all DJ’s had the world at their feet. Lovely ladies always thronged around the DJ’s in my town. DJ’s were famous. And some were raking in good money. 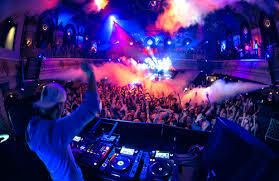 But above all, I wanted to become a DJ thanks to my love of music. It is one way I thought I could express myself better musically. However, as I grew older, I realized that DJing was not an avenue for me to become an overnight success. I also realized that some of the reasons I wanted to become a DJ were woefully wrong. 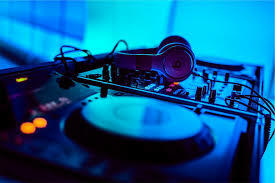 After meeting a number of successful DJs, and a thorough introspection, I determined that I wanted to become a DJ, yes, but not because I wanted to become famous, rich, and popular with girls; rather, because I loved good music. But if money and fame were going to come through that, well and good; I only didn’t want to expect too much. I became an apprentice to a DJing virtuoso who used to DJ in the town’s discos. But I also found a number of free software which helped me to hone my skills. For example, the Virtual DJ Home was very instrumental in refining my skills. It is entirely free but fully functional. The software supported as many decks as I wanted, and it features all the whistles and bells that I expected- it had the loops, sampling, recording, key lock, sync, and so on. 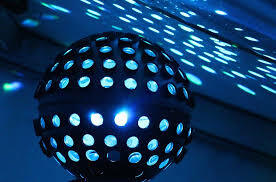 Besides being fully featured, Virtual DJ Home is supported by the community and is absolutely free- no hidden charges. But there comes a time when a mouse and a keyboard alone won’t accommodate all your DJing skills. So at some point I decided to invest in a turntable and all the necessary accessories. I was confident that my skills were improving. For example, I had come to know how to beat-match, phrase, mix, Equalizing and etc. These skills are critically important to a DJ. Beatmatching helps to develop as well as tune the ears so that you are aware what you need to listen for. It will help you to know when tracks drift out of time or out of phase etc. And it also helps to have the two tracks you are mixing to play virtually at the same tempo. Phrasing is the mixing together of tracks at particular points in the song. Equalizing is the boosting or dropping of certain frequencies so that two different tracks can blend well together. I have to admit that equalizing proved daunting to me at first, but thanks to my capable teacher, I was able to overcome. Equalizing, I came to realize, is an art in itself. It is both a tool and a means of creative expression, all at the same time. Upon receiving valuable instruction and being sure of my DJing skills, I set out to invest in even more advanced hardware. I was advised by my instructor that as a budding DJ, I need an all-in-one controller- and that is the first thing I bought by the way. I bought some other hardware- include a timecode, a vinyl and Mixer route, etc. In no time, I became a ‘go-to’ DJ in town. Nowadays I perform in numerous places and people are acknowledging my skills. Many Thanks to the best metal carports in North Carolina for sponsoring today’s post and helping me get my DJ blog off the ground – I appreciate your generous support! While I finish getting everything all set up, enjoy this video about what life is like as a professional DJ. It is interesting and may address the misconceptions that a lot of people tend to have.